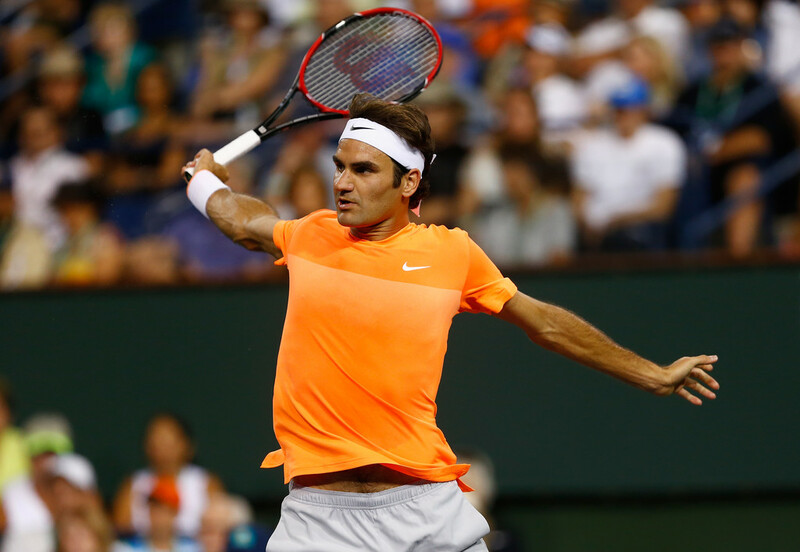 Roger Federer avenged his Australian Open defeat to Andreas Seppi 6-3, 6-4 Tuesday night at the BNP Paribas Open. "It absolutely was an opportunity right away to play him again and sort of erase it to some extent from the memory as the season moves forward," said Federer. The second seed beat the Italian to advance to the Round of 16, where he will face American Jack Sock and attempt to achieve 50 match wins in Indian Wells. Seppi scored his first career win over Federer in Melbourne's third round earlier this year, but the Swiss improved his record against the No. 30 seed to 11-1 after this latest match. Federer served six aces and hit 19 winners, but was only able to capitalise on three of his 12 break point chances en route to the 82-minute victory. "I don't think we both played very well tonight," he said. "We both struggled with the conditions, the balls. I think it's tough to get ahold of them, the right way with the right spin. Maybe as you move along in the tournament, hopefully it's going to get better for me and for any player. It's one of those matches you're happy you're through, and I was happy it was over." In his 15th appearance in the desert, Federer is bidding for an unprecedented fifth Indian Wells title this week. He was a champion here in 2004 (d. Henman), 2005 (d. Hewitt), 2006 (d. Blake) and 2012 (d. Isner).